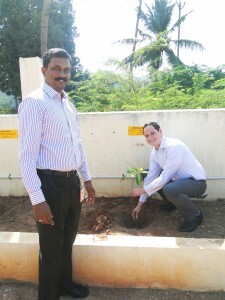 As one of the objectives of Sriram Charitable Trust on Environment Protection Policy by Planting Tree samplings for increasing Green cover and Creating awareness among the community and as part of Integra’s “Go Green Movement”, joined hands with Green Kalam Project and donated 20,000 saplings to the Thane affected Cuddalore district especially to do Transplantation on gated communities like Schools, Colleges both in Government and Private Sector. 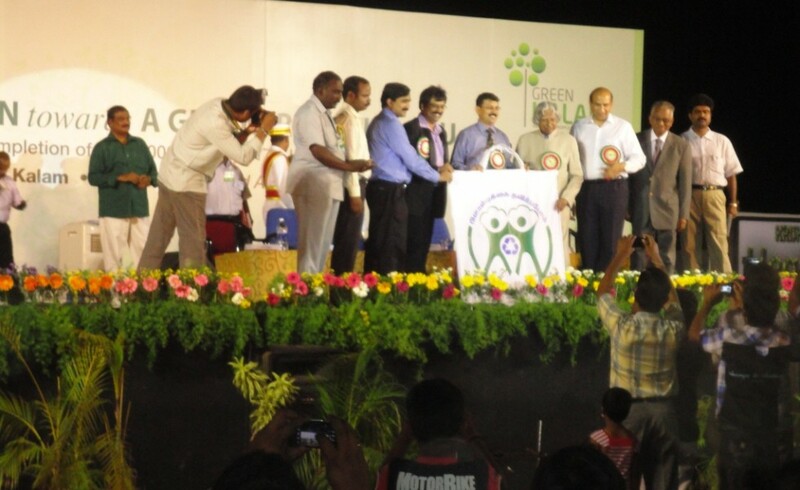 This “Green Kalam” project is Dr. APJ Abdul Kalam’s dream project, in which Actor Vivek is being its Brand Ambassador. 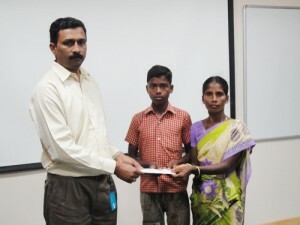 Green Kalam Team has planted nearly 13 lakh trees in Tamil Nadu. 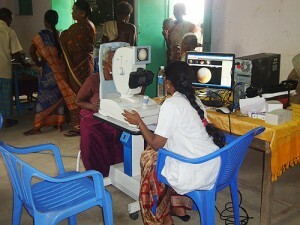 Completion of its first phase was celebrated on 7th June, 2012 in Krishnasamy College of Engineering and Technology at Cuddalore and Certificate of Appreciation awarded by Hon’ble Dr. APJ Abdul Kalam (Former President of India) to the Key Participants. In this picture, on behalf of Mr. Sriram Subramanya, Founder, Director, CEO- Integra, and Managing Trustee of Sriram Charitable Trust, Puducherry, Mr. Aroquia Radjou is receiving the Certificate from Hon’ble Dr. APJ Abdul Kalam (Former President of India). Shri. Rajendra Ratnoo, IAS, District Collector, Cuddalore District, Actor Vivek, Brand Ambassador of Green Kalam Movement, Shri. GRK Reddy, CMD-MARG Group, Shri. V. Ponraj, Scientific Advisor to Dr. APJ Kalam and Dr. K. Rajendran, Chairman, Sri Krishnasamy Reddiar Educational Trust also present in this picture.